Stella J. 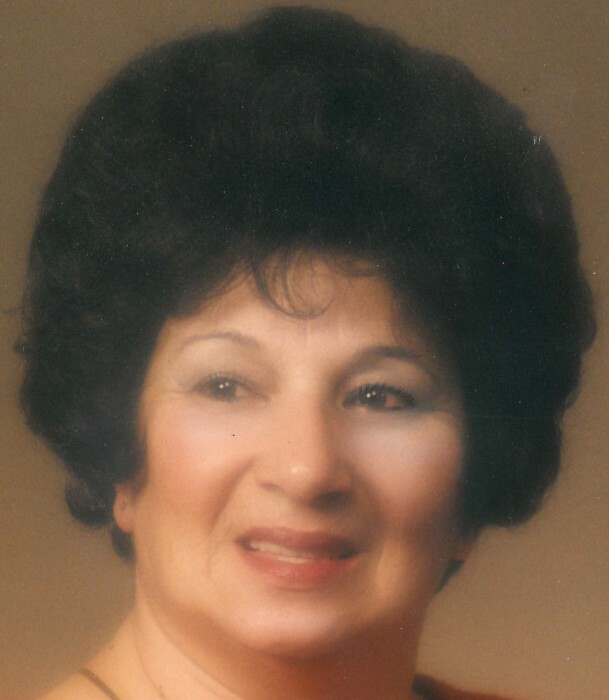 (Puntureri) Stanzione, 92, of Tarentum, PA, formerly of Brackenridge, went to be with the Lord on Sunday, March 24, 2019 peacefully in her home surrounded by her family. Stella was born on January 20, 1927 in Grove City, PA to the late Joseph and Eva Gallo Puntureri. She was a homemaker and beautician and she retired from Liberty Mirror Glass Company in Brackenridge. She was a member of the Our Lady of the Most Blessed Sacrament Parish, Most Blessed Sacrament Church, Natrona Heights. She was a life member of the Pioneer Hose Company Ladies Auxiliary. 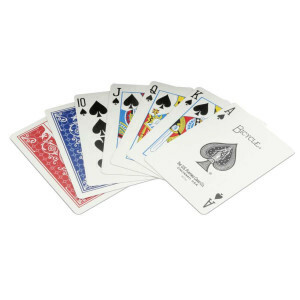 She enjoyed playing cards, watching her Pirates and Steelers, watching game shows, cooking, traveling and spending time with her family. Stella is survived by her children: Monica (Charles, Sr.) Simoni of Tarentum, PA, Richard (Robin) Stanzione of Ogden, UT and Pamela Stanzione of Lady Lake, FL; 5 grandchildren: Charles (Amy) Simoni, Jr. of Tarentum, Melanie (Brian) Ferra of Lower Burrell, Breelyn (Jared) Gibbons of Wisconsin, Jazzlyn (Jamie) Young of Texas and Mykklyn Stanzione of Utah; 12 great grandchildren: Gianna, Sophia and Addison Simoni, Maia, Dominic and Nikolas Ferra, Ricklyn, JJ and Mick Gibbons, Malia, Teo and Finley Unga; her siblings: Albert (Judy) Puntureri of Hermitage, Rock (Louise) Puntureri of Butler and Genevieve Perry of Grove City; her sister in law: Patricia Puntureri of Hermitage. She was preceded in death by her parents, her husband Richard Stanzione, Sr., who she married November 24, 1951 and died December 31, 1976; 2 brothers: Samuel (Judy) Puntureri and Vincent (Jackie) Puntureri and a sister: Teresa Puntureri. The family would like to thank the Allegheny Hospice Staff. Family and friends are invited from 2-4 and 6-8 PM on Friday, March 29, 2019 to the ROBERT PETERS FUNERAL HOME INC., 1521 Freeport Road, Natrona Heights, PA 15065 (724-224-7730), where a parting prayer service will be held at 9:00 AM Saturday, March 30, 2019. Mass of Christian Burial will follow at 9:30 AM at Our Lady of the Most Blessed Sacrament Church, 800 Montana Avenue, Natrona Heights, PA 15065 with the Reverend Aaron J. Kriss, officiating. Burial will follow at Mount Airy Cemetery, Natrona Heights. 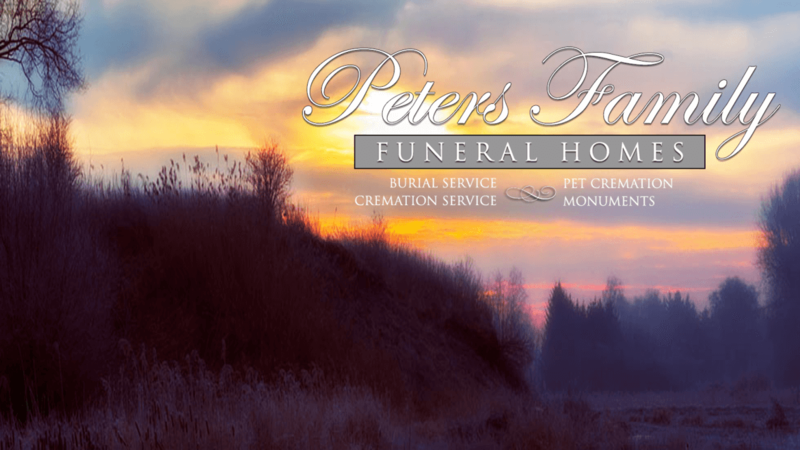 For more information please visit www.petersfamilyfuneralhomes.com.